Christian @ Pt England School: The first day of term 3! The first day of term 3 The immersion assembly kick off with a bang. 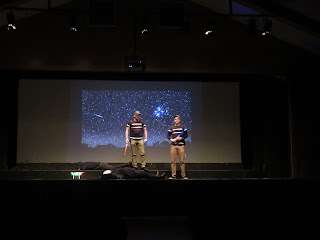 The hall became dark and with a Space ship flying across the hall, we were attacked by aliens! 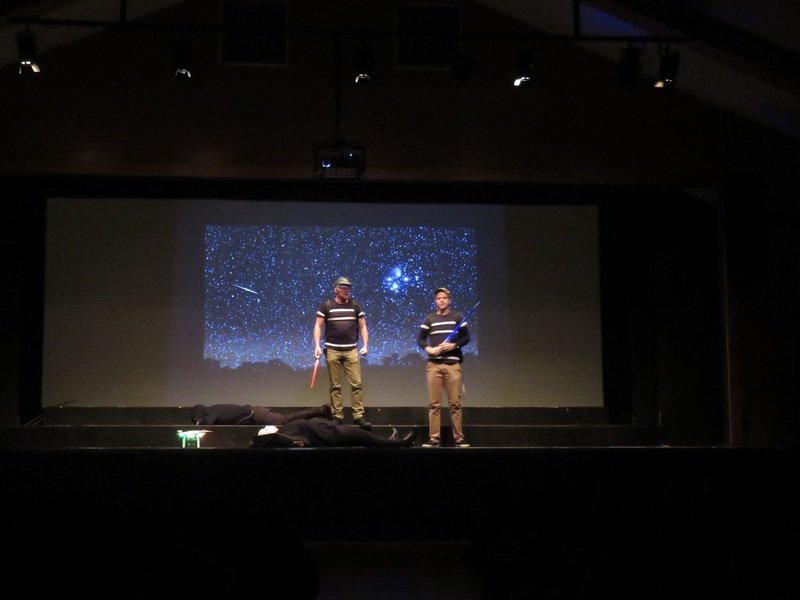 But lucky we were saved by Mr Somerville and Mr Jacobsen "defenders of the galaxy" . The immersion assembly kick off with a bang, and we were ready to learn. This term were learning about "planet Earth and beyond". There was 5 teams to be exact and each one had a focus on the tile "guardians of the galaxy". The most Informative team was team four. Team four had a movie about the accidents in spaces and how they can learn from it and be a "guardian of the galaxy". The most entertaining was out of team 5. Team 5 had a very funny item, they had a song how far i'll go parody. Term one is focusing on learning about the sun, the moon and outer space, Team two is pretty the same as Term one and Term three is about the day of our live how it can change in outer space. Team four is learning about the accidents and hot they can learn from them, but last but not least team 5 (the best) hand a the song how far i'll go parody. Labels: 2017, By Christian, P.E.S., term 3, The first day of term 3!